Many people have never heard that the heart’s magnetic field is 5000 times stronger than the magnetic field emitted by the brain. When I read this, I heard “Emotion is your feelings in motion” the very same day. To tell yourself “it must be now” is a good way to motivate yourself and others. But, to feel it in your heart is 5000 times more likelu to motivate you and the people around you. There is infinite power in NOW. When you remind yourself that you are “effortless,” you set a mark to begin knowing yourself. We all know who we are, but do we know how much energy it takes to be YOU? You are in this moment. You are you NOW. You are You Effortlessly. From the baseline of YOU NOW, you may begin to make decisions and create the best version of yourself. It doesn’t require any effort to be you or to be present in this moment. You are here, so Relax and listen to yourself BE YOU. Listen to your breath, listen to your thoughts. These will be two parts of yourself that you will must learn to control first. Realize that It will not require anything to remain the way you are. The situation you are in and the person you are NOW was created before this moment and is present because of decisions you’ve already made. From this moment forward you must begin to ask yourself, “how is this assisting me in becoming the greatest version of myself.” In the beginning it will be your thoughts you must constantly question. Do not allow your thoughts to be hijacked by uncontrolled emotions. Remember your heart is much more powerful than your brain, so you have to be careful what you allow yourself to feel. Of course I don’t mean to isolate yourself and be without emotion. I simply mean to not expose yourself to unnecessary situations. Stay away from toxic people. Dissern what is good for you. Some situations are not good to see and hear. Learn what triggers your emotions and decide accordingly. It will not take you long to notice a difference in your life, once you gain control of your thoughts and breathing. Always remind yourself that life is about being happy and living with a passion. No one can make you happy. Only you can do that. Please, understand this does not mean others won’t make you happy because they will, but before they can lift your happiness you must have happiness inside of you. I call it the 49% rule. If you are 49% happy, no one can get you to 51%. However, if you are 51% happy, then you can be taken to 100% happiness by another happy person. This comes down to a statement that we should have learned in kindergarten. “Love who you are and be with others who love themselves.” In this scenario, happiness is unlimited and living NOW is effortless. I’m learning to embrace the new. It’s not what we don’t do, but what we do that matters. Life is a great show, we came here to enjoy it. Nature is such a wonderful example of life on Earth and what is possible in our own lives. There is no self doubt coming from the birds I hear singing on my porch. There is only living and breathing. From now on, when someone asks what I’m doing, I’m going to answer, “I’m breathing,” because the more we think about our doubts, the more they multiply. Thoughts are frozen actions, the heart has no fear until we think about making a mistake. It is a cycle which we begin in our minds and watch as it happens in reality. It’s as if our mind knows it messed up by thinking the negative thought in the first place. I must over come self doubt, even though a lot of it was programmed into me during my young life. I have to make friends with fear and overcome self doubt. Fear is not negative, it is normal. We have to chase it and become friends with it. We live in a flash, there is no time for fear because all we have is NOW. How can we let go of who we think we are and see ourselves for the true self? When I think of myself, who do I see? Is that what others see? What is important: what I see or what you see? — Judgment — Do I have to win all the time? What is abundance? Abundance is when you realize that you are worth it. That’s what I am learning. “Be well and do good work” a Garrison Keeler quote. So to all of you I say: Be well and do good work. Change will not come if we wait for somebody else or some other time. You are the one you’ve been waiting for. You are the change that you seek and desire. I feel I should share a piece of my thinking with everyone. Some people might think I’m a bit egotistic to think this way, but here goes. “We can never lose, and we can never win, because we are the trophy. We are the prize we are striving for every single day and night.” Now when you begin to think this though, remember there is something we often forget. Remember this: our job in this life is to become the best version of ourself. Now, how can you become the best version of you? Do you know what being in your “heart space” is about? I don’t know more than you, I am just another person trying to figure out this whole process of “waking and sleeping.” I am learning that we, as humans, are the original technology and in learning this I know I can change the reality of my surroundings. I realize that this sounds crazy to others, but if you know me you know that I do have the power to manifest anything I put my mind too — even accidently. I use words, thoughts, and actions to change my frequency. Have you ever tried to change yours? I went to the library today looking for a new book to begin reading and I came across a book by Johnathan Kellerman titled “True Detectives.” I haven’t began reading it yet, but I’m hoping it will be a great book because he has many books and I’d like to find a new author to really sink my reading brain into. 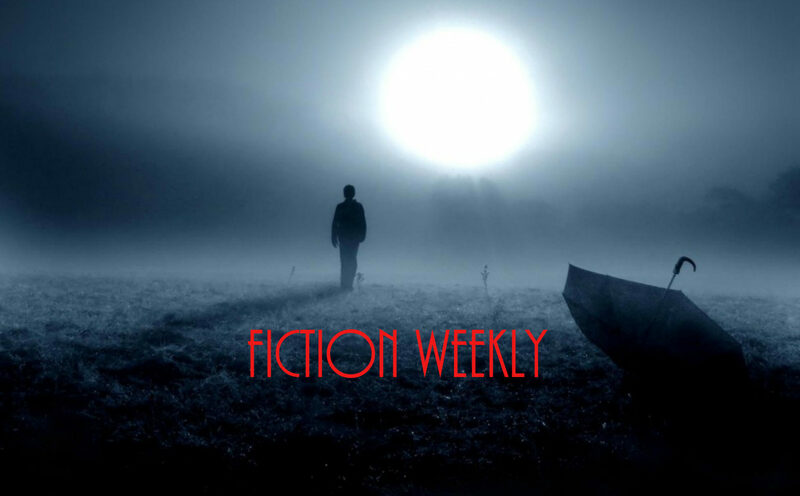 I feel like I’ve been writing so much lately that I have forgotten what it’s like to have a really good book to read. With all that in my head, I came home and saw this meme on my facebook wall. 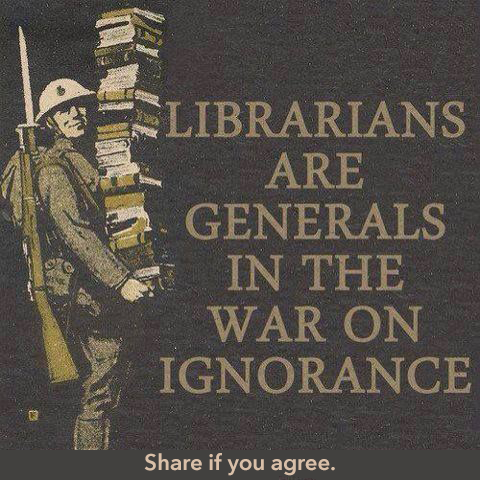 I thought about it for a while and it occurred to me that Librarians are not really generals at all. They are more priest-like and the head of a long and important line of The Illuminated. 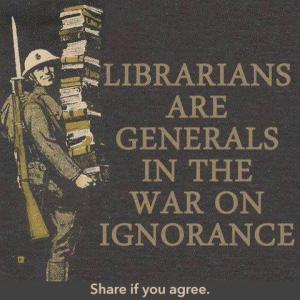 And being just that, Librarians have trained long and hard to reach their position. Yet, in modern times, many of the people who use the library don’t realize that the man or woman behind the desk who stamps the date in the back of the book, actually spent many years in college learning what is known as Library Science and many of our local librarians have earned the title of Library Science Masters. Yes, there is prestige in being the librarian. There is honor and history and science behind these humble people of knowledge and we have not been taught to give them the respect they deserve. We are being systematically desensitized to the amazing achievement which is the library. The first libraries existed over 8000 years ago! The Mesopotamians wrote on their history and ideas on clay tablets to preserve the knowledge they wanted to pass onto the world that followed. Thousands of these clay tablets have been discovered in the palaces and temples where they were stored and arranged long ago. These palaces and temples were the first real libraries. The Egyptians wrote their knowledge on papyrus scrolls, which they also stored in palaces and temples. The most famous library in history was in Alexandria, built around 300 BC. It held nearly 700,000 scrolls. The Romans planned the first system of public libraries and by the year 4 AD, wealthy citizens has began to build their own libraries. Suddenly, there was 28 libraries in Rome. When the Christian Era began, libraries became part of the churches and monasteries. Monks read and copied books, so in that time many of the libraries were due to their hard work. By the year 1400 the University of Oxford began to organize it’s library. It is still the largest University library in the world. In 1850 the English Parliament created our current library system and it has grown into the institution that it is today. Every word of knowledge, every definition, and fact ever known has been written in a book, so that future generations, and the current one as well, can find the knowledge they want to know. And now, the internet has been invented, but without the words having first been gathered and arranged in books it would have been forgotten long before the internet age. It was these books and these people who made libraries possible that has shaped and re-shaped our world. The librarian is not just the person who tells you that your book is over due. The librarian is the priest, the palace guard, the university head, and a monk all in one, because it is the librarian who holds the key to all the words, knowledge, and traditions the world has ever known. Carl Sagan said that the Universe created humanity because it wanted to know itself. I take it a step further and say that we have eyes because the cosmos wanted to see itself. I also believe that all of our atoms were created inside of stars. Inside of each and everyone of us are pieces from all points in Time and parts that came from many places in the Universe. It’s amazing to think that at one time the elements we are made from did not exist. Therefore, before we were possible, iron and oxygen and many other atomic structures had to be imagined and created. Only later did it become possible to have organic machines as complicated as we are. 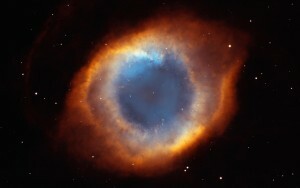 There is a famous photo taken by on of the Space Telescopes that looks like an eye. The last time I wrote about metaphysics and our amazing existence, I told how I thought Super Clusters looked like bigger versions of neurons in our brains. I explained how our consciousness might continue to exist as part of this larger structure even after our bodies die. The similarities of such large structures and tiny ones inside of our bodies can not be a coincidence. There is a bigger picture out there and we will someday find it. The galaxy above is amazing, but below I leave you with another beautiful representation of how our Universe exists right inside of us. Our eyes look more like galaxies than the galaxy above looks like an eye. Isn’t this unbelievable.